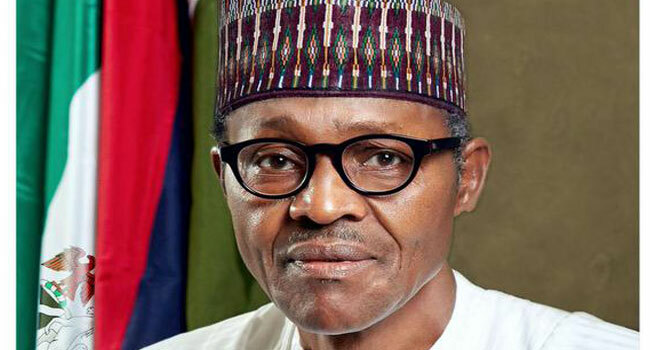 Nigeria’s President Muhammadu Buhari, last week, gave an exclusive interview to the Chief foreign correspondent of Daily Telegraph, Colin Freeman. Here is the full record of his remarks as published by the paper. Are you willing to talk to Boko Haram about the missing Chibok schoolgirls? As long as we can establish the bona fides of the leadership of Boko Haram, we are prepared as a government to discuss with them how to get the girls back. But we have not established any evidence of a credible leadership. Is Abubakr Shekau still the leader of Boko Haram? I receive conflicting information about the status of Shekau. Some say he has been removed and replaced by a less charismatic terrorist leader. I think he must be on the run, because out of the 14 local government districts that Boko Haram used to call their caliphate, they now do not control any now. They are scattered around the Sambisa forest and they have resorted to attacking soft targets, people in churches, mosques and market places, and using improvised explosive devices. Are you seeking any further help from the West in the fight against Boko Haram? I was invited by the G7 during my visit to Europe to brief them on the issue of security, Boko Haram, and I did so. I subsequently sent Nigeria’s ‘shopping list’ in terms of the infrastructure destroyed. That is schools, medical facilities and other institutions, bridges blown up, and the estimates of repair. Did you also ask for Western military help? Yes, I did, but I don’t want to give any details of that in public at present. As you know, we already have foreign military help in terms of training missions. And are you asking for additional military help beyond training missions? I am not asking for any of that yet. I want to be briefed first on the situation from the Nigerian military and also the police. The previous government used mercenaries from South Africa in the fight against Boko Haram, with some success. Would you consider doing the same? What is your feeling on the wider terror threats across west and north Africa at the moment, with terrorism attacks taking place in Mali and Burkina Faso? I think we should be very worried because with technology, Boko Haram and other terrorists have become very mobile in all continents, not only in Africa but also in Europe, America and Asia. For Africa and the Sahel, the demise of Gaddafi’s regime led to a lot of armed and trained people, especially those from the Sahel, being dispersed. Fighting is the only thing they know, and they are available at a fee. The danger is there, and I am pleased that Europe has realised it too. There have been reports that Nigerians have been fighting for Isil in the Libyan city of Sirte. Is that true? I haven’t seen confirmed reports about that, but I know that it is not only in Sirte – there are also Nigerians finding their way to Syria too. I don’t know which side, but they may be fighing for Isil. How many, I have no idea. Have you ever had reports of people from the Nigerian diaspora in the UK being involved in Boko Haram in any way? No, but if I do, I will immediately raise the issue. A number of Nigerians use the migrant routes to come to the UK to claim asylum, saying their lives are at risk from Boko Haram. Is is legitimate for them to do so? Some Nigerians claim is that life is too difficult back home, but then again some Nigerians have also made it difficult for Europeans and Americans to accept them because of the number of Nigerians in different prisons all over the world accused of drug trafficking or human trafficking. I don’t think Nigerians have anybody to blame. They can remain at home. Their services are required to rebuild the country. If their countrymen misbehaved, the best thing for them is to stay at home and encourage the credibility of the nation. Do you think that Nigerians have an image problem abroad? Certainly. But we are on our way to salvage that. We will encourage our countrymen to stay at home, work hard and make a respectable living at home. Your government has launched a major corruption probe over claims that billions of dollars of oil cash went missing during the previous administration. Some suspects have been arrested in the UK. Are you satisfied with the co-operation you are getting from the UK authorities? One of the biggest suspects is in Britain now, although I am not going to name that person. But Britain has earned our respect in the way it deals with these matters. Our only problem is that it seems to be too thorough and it takes too much time. If there are obvious cases, like bank accounts, infrastructure houses and hotels, I would hope they could do it quicker, so that we can claim these things back promptly.